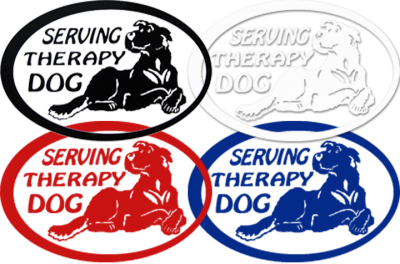 These Pressure Sensitive Vinyl Decals easily identify your Therapy Dog. They adhere securely to any smooth surface. There is no background, so the decal has a "2D" effect. Each decal comes with photo instructions for easy application. These decals are a professional exterior grade vinyl.